Mildred Marcella Work Hundley, 97, died December 6, 2018 at Friendship Village Healthcare Center,Tempe, AZ. She was born July 4, 1921, daughter of Lillie Mae Redmon Work, and Percy Lee Work of Mayfield, KY. Known as Marcella to her friends and family, she graduated Mayfield High School, then married Floyd Farrell Hundley, Clay Center, KS, April 7, 1940. They made their home in Peoria, IL where Floyd worked at Caterpillar. During their marriage they also lived in Creve Coeur, IL, Paducah, KY, and Aurora, IL. While in Paducah, they owned and operated the A& W Root Beer Stand. Then Floyd was made an offer to return to Caterpillar, moving family to Aurora, IL. While there, they also enjoyed being directors of the "Y" Camp Quarryledge in Oswego, IL. Marcella loved camping, travelling, was a Girl Scout leader for many years, taught crafts, was an expert seamstress teaching tailoring to young women, and was an excellent quilter. She also attended Waubonsee College in Aurora, II. Marcella moved back to Mayfield, KY after Floyd's death. 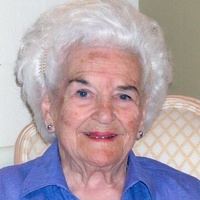 In 1988 she moved to Friendship Village in Tempe, AZ, to be closer to her daughters who lived in Arizona and California. Quilting, travelling to other countries, making new friends and enjoying all that Friendship Village had to offer, she lived in the Village for 30 years. She was a member of Tempe Church of Christ and her special interest was teaching crafts in the summer at the church campsite. She was preceded in death by her parents; her husband, Floyd F. Hundley; two sisters: Norma Smith, Paducah, KY; Dianne Hempton, Killeen,TX; one grandson, Timothy F. Williams, USAF, Oswego, IL; and a great-great granddaughter, Angel Marie Thorne, (daughter of Jessie McLaughlin Hansen). There will be no services or visitation. Cremation has been accorded and burial of ashes will be in Mayfield Memorial Gardens, next to her husband, in Mayfield, KY.
Memorials may be made to "Copper Basin Bible Camp", c/o Tempe Mortuary, 405 E. Southern Avenue, Tempe, AZ. 85282.